Updated: 5:45 p.m. | Posted: 5:24 p.m.
A report finds Minnesota farm income continues to drop and hit a new low last year. The University of Minnesota Extension and Minnesota State tracked the past 23 years of data and found after adjusting for information, Minnesota farms in 2018 earned the lowest median farm income during that period. 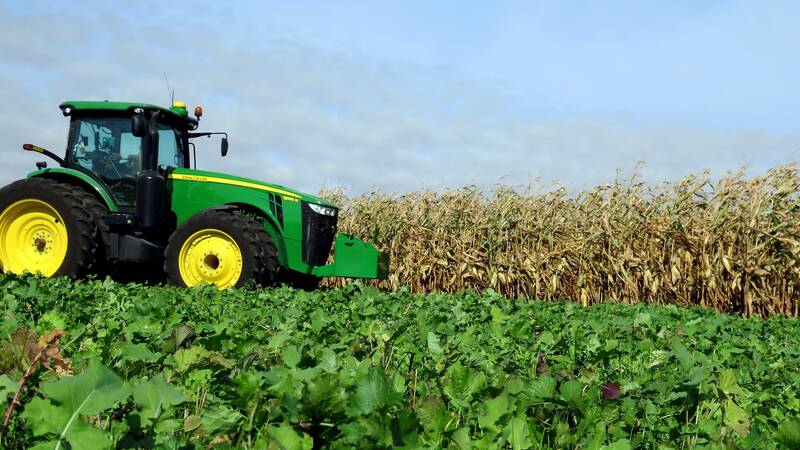 The analysis released Monday found that Minnesota farms' reported net income in 2018 was just over $26,000, down 8 percent from the previous year. Farmers in the lowest 20 percent reported losing nearly $72,000. Participating producers represented about 10 percent of Minnesota's commercial farmers. The number of participating dairy farms dropped by 15 percent in 2018, reflecting the number of dairies that sold their herds. Across all farms, 34 percent lost money on their farming operations in 2018. Dale Nordquist with the Center for Farm Financial Management said, adjusted for inflation, income for 2018 was the lowest since data collection began in 1996. "They've been low for I guess six straight years now so you know we haven't seen any recovery in the farm economy in the last year and we're really not seeing any great recovery for the coming year, so it's pretty stressful out there right now in agriculture," Nordquist said. Nordquist doesn't expect much improvement in farm income this year. But the cost of growing crops is likely to increase because of higher fertilizer prices. On the positive side, Nordquist said land prices are strong and interest rates are low, which helps farmers get financing. "In general farmers were pretty smart with their money coming out of that those high-income years, so they've still got that flexibility and still some ability to absorb some losses if they have to," he said.